Join Bunny and friends on their annual Easter egg hunt! 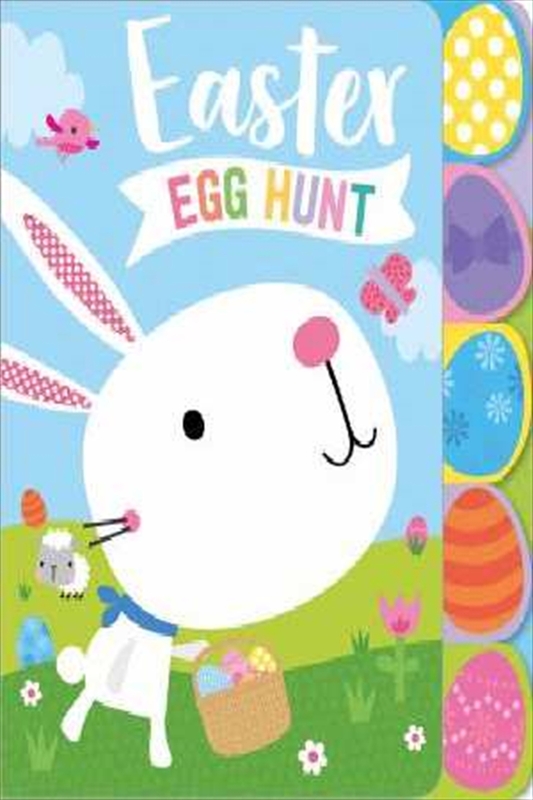 The simple, rhyming text prompts young readers to find the Easter eggs hidden by the Easter Bunny on every spread. Tabbed pages make it easy for children to see which eggs they need to find and sweet, pastel illustrations will engage them as they read!